The article claimed that India as a nation never really existed in history. It was held together by “decadent” Hinduism which “encouraged caste and exploitation”. 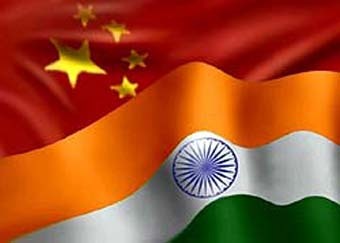 “Only after India has been broken up into 20-30 pieces will there be any real reform or social change in the country,” and “…China in its own interest and the progress of whole Asia, should join forces with different nationalities like Assamese, Tamils, and Kashmiris and support the latter in establishing independent nation-states of their own, out of India,” the article said. The website is believed to have links with the Chinese government. The article was meant for an internal (Chinese) audience and was subsequently republished in many similar Chinese websites (indicating that it got a warm reception amongst at least some sections of the Chinese intelligentsia). This was subsequently reported in dozens of Indian newspapers, raising serious questions about Chinese intentions towards India. The Indian government did raise the issue with the Chinese government, and were apparently “reassured and satisfied” by Beijing that the article was just the opinion of a single writer, and not the policy of China towards India. One cannot say for certain whether or not the article really was just the views of a single individual or whether it does represent a thinking that is prevalent inside Beijing. If the latter is true, Chinese officials are not exactly going to be open with India and say “Hey guys, we’re in the process of breaking you up.” Rather, it would be in their interest to try and keep India off guard. Certainly in the years prior to the Chinese invasion of Indian in 1962 (in which China dealt India a humiliating defeat), the Chinese totally deceived the naïve Jawaharlal Nehru into thinking that India had China’s friendship and best intentions. History has shown that Indians cannot solely rely and trust even the Indian government to actually act firmly and timely in protecting India. Of course it will remain primarily the Indian government’s responsibility to defend India – but Indians (including the diaspora) should not shirk their responsibility to play their part. I write this article as a person who although born in Britain, has a deep love and reverence for India, and look on India as my motherland and holy land. Most Indians, no matter where they are, feel this way and would like to do what they can to prevent harm to India. It is unfortunately true that India is a relatively soft target for espionage and subversion, being a free and open country which sometimes lacks decisiveness and forthrightness in defending its interests compared with a dictatorship like China. Coalition democracy can sometimes make it difficult to make firm decisions in India’s national interest. Just take the example of Afzal Guru, the terrorist who was convicted for involvement the December 2001 attack on Indian Parliament. He was sentenced to execution, and yet a few stray protests and fear about reprisals in Kashmir has led to a direct government intervention to delay and possibly permanently stay his execution. It is also true that India is surrounded by countries which have at least a degree of hostility towards India and could probably coaxed to support China in any scheme against India. However India, being a relatively free, open and humanely governed nation, has a different kind of strength that can and will eventually overwhelm and transform China. Let me state here, that my enmity expressed here are not a mark of ill will towards the Chinese people. I view China as a sister civilization of the Hindus, and I have a great deal of respect for Chinese culture and Chinese achievements, which are on par with the achievements of ancient India. It is the government of China, a dictatorship (and therefore not reflective of the will of the masses of Chinese people) which I see as an enemy to be fought. Even if it is not true that the Chinese government is trying to break up India, I still have the view of the Chinese government as an enemy to be fought, as I believe firmly in intellectual freedom and humanitarianism and despise governments which go against these values. The Chinese dictatorship’s scant regard for human rights, little room for intellectual freedom, censorship of the internet and the press will eventually repulse its people, who will rebel against the current state of affairs. Already, many Chinese dissidents around the world feel this way, together with many in China who do not dare speak out. Indians (all over the world) should be at the forefront of exposing the darker side of China. Undoubtedly China is enjoying great economical success and that has give rise to prestige. But then so did Nazi Germany, so we should not let the world be duped by the economic success. The Chinese government settles millions of its dominant ethnic group (Han Chinese) to demographically over power and outnumber lesser ethnic groups like Uyghur and Tibetans. The Chinese government detains and executes citizens for dissenting views against government, and has still banned the practice of ancient Chinese native religion and other sects it sees as a threat to its supremacy, like Falun Gong. The Chinese government has perpetrated huge massacred both against students and ethnic groups that express grievances. The Chinese government lays claim on land held by other countries and points nuclear missiles at these countries. In my opinion, the Chinese government is only very slightly better than the Nazi Party, and must be removed. Indians can mobilize humanitarian forces across all regions and cultures to oppose and expose the Chinese dictatorship and make it an international pariah like it deserves to be. We can reach out to the many Chinese people who will agree with this, and encourage them to cast off this government, and replace it with a country governed humanely. The view of lying Idiots , Because Congress and BJP cannot maintain the country, the people are rebelling and asking to leave, stop blaming other countries and ask why the dirty indian politicians created monopolies like Tata and Reliance when the whole economy has billions of starving people and fat politicians get rich off stolen foreign aid. Mr V Kumar, you sound like a brainwashed irredeemable Communist, so I’m not going to go into this in any level of depth with you. But just think about ONE thing: where do Indian Maoists and other terrorist organisations get their assault rifles and other weaponry from if “other countries” don’t have a hand somewhere? Good article. The Communist Party of China is the greatest threat to peace in Asia. They oppose freedom and brutally oppress people. It would be better if Tibetans and Turkestan could vote for independence.